This video was created for free at the eCards guys JibJab! It's now almost Christmas, and if you are a typical wargamer that probably means a last-minute panic session on Amazon to pick up a few well-thought-out gifts for your loved ones. 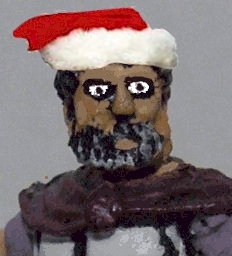 Well, if this is your way of spreading festive cheer, please consider Madaxeman.com this Christmas as well. Simply by clicking into Amazon via the links below before starting your shopping you will be helping support Madaxeman.com, at no extra cost to yourself. You can shop on Amazon.co.uk or Amazon.com by clicking on these links. Go on - you know Hannibal want's you to !